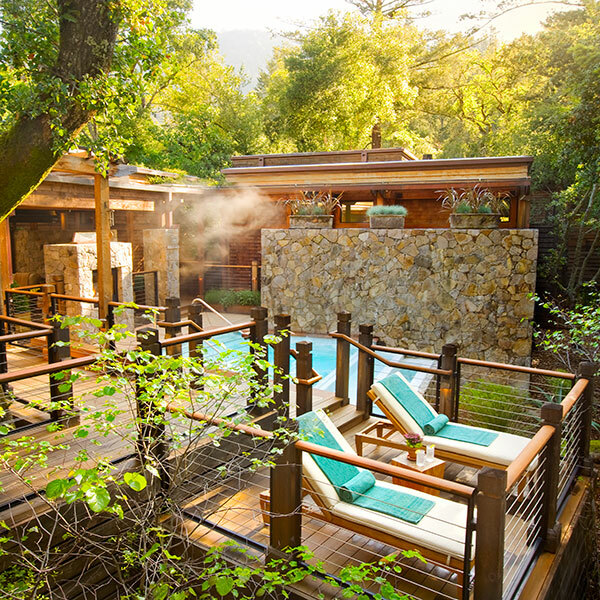 Tucked into a private canyon in the Upper Napa Valley, just outside the historic town of Calistoga, the 50-room luxury resort is located on a 157-acre site marked by ancient oaks, majestic hills, a rock-hewn stream and private lake. The resort captures the rich culture of wine, food and nature inherent to the region, offering guests the ultimate experience with a collection of indoor and outdoor spaces that allow you to fully experience the pristine setting. 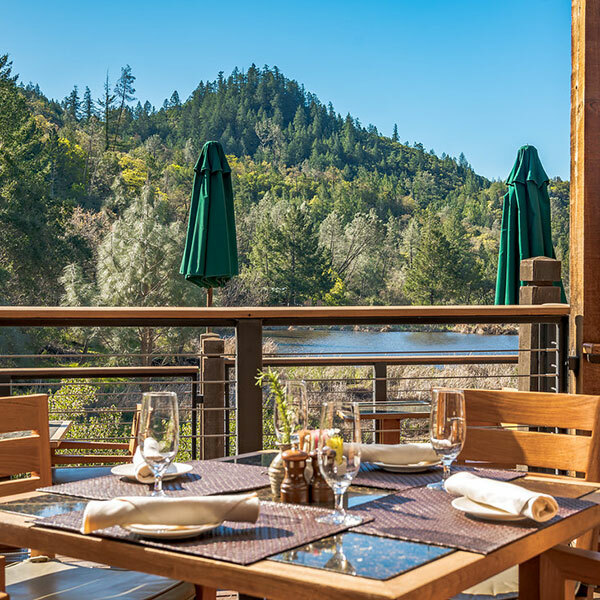 The Lodges at Calistoga Ranch reflect and embrace the pristine natural surroundings with expansive cedar decks that allow for indoor-outdoor living, rich polished woods and floor-to?ceiling windows that frame the tall pines beyond. The private restaurant celebrates the rich culture of local Napa Valley wines and cuisine, making use of the lush bounty of the region. For those seeking rejuvenation, it can be found at The Auberge Spa, where guests can indulge in rejuvenating spa treatments and take advantage of the region's natural healing mineral waters. 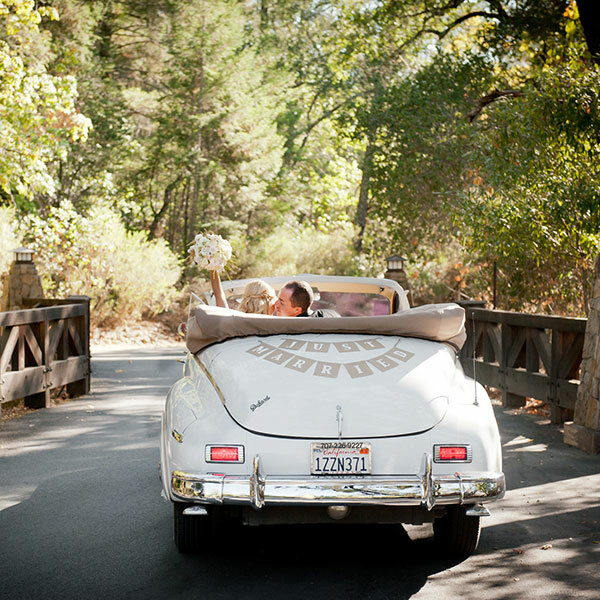 A short drive from Napa, yet seemingly worlds away from the bustle of everyday life, Calistoga Ranch is a wooded sanctuary unrivaled as the perfect backdrop for your special day. Nestled away in a wooded canyon, discover soothing soaking pools overlooking a creek and moss-laden oaks and enter upon a journey to pure relaxation at our Napa Valley spa resort. Calistoga Ranch's long standing tradition of culinary excellence is showcased in a variety of Calistoga dining options, each reflecting innovative, locally inspired menus that incorporate the freshest organic, natural and seasonal ingredients. Experience nature and pick from one of our four hiking trails. As an overnight guest, join us every Friday for a wine reception. Our resident Beekeeper will host you for a course on the Honeybees at Calistoga Ranch.